Although I love the scent and taste of banana, I can’t eat it. No, I am not allergic to bananas; I simply hate the texture of this ever so popular fruit. I can’t explain why though. I enjoy banana-flavoured food but the fruit, no way! 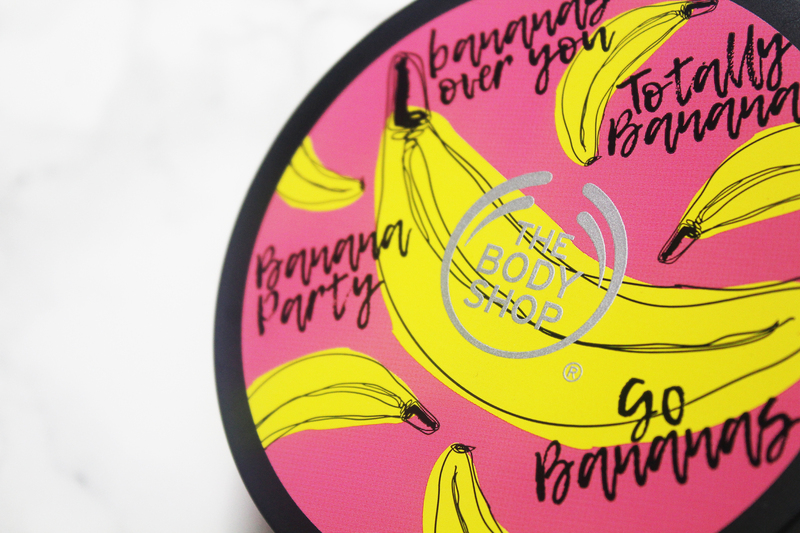 Purchased during a sale (£7.50 for 200ml), The Body Shop Banana Nourishing Body Butter is a product I had been itching to try, no pun intended. 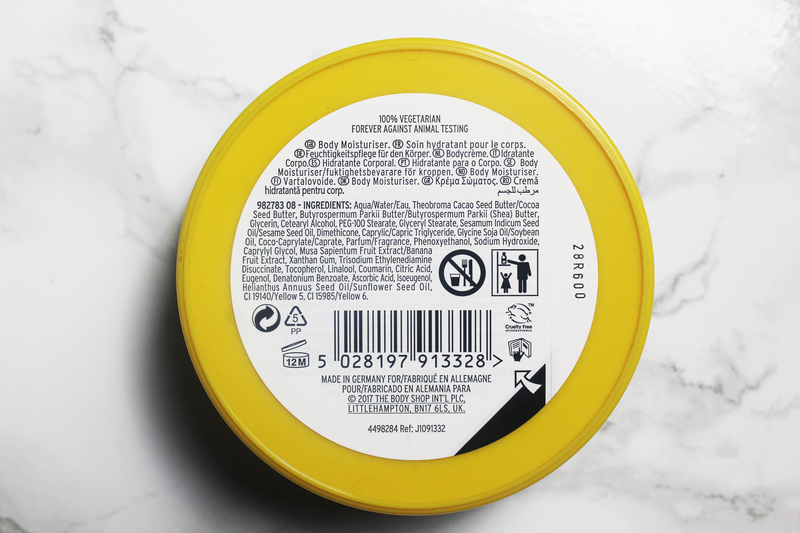 Consistency-wise, it is in line with The Body Shop’s standard body butter formula we all love! The scent is lovely; it is sweet and unsurprisingly, fruity. It is also rather natural; I perceive ripe bananas, not an artificial synthetic fragrance. So, what is up with the average score? 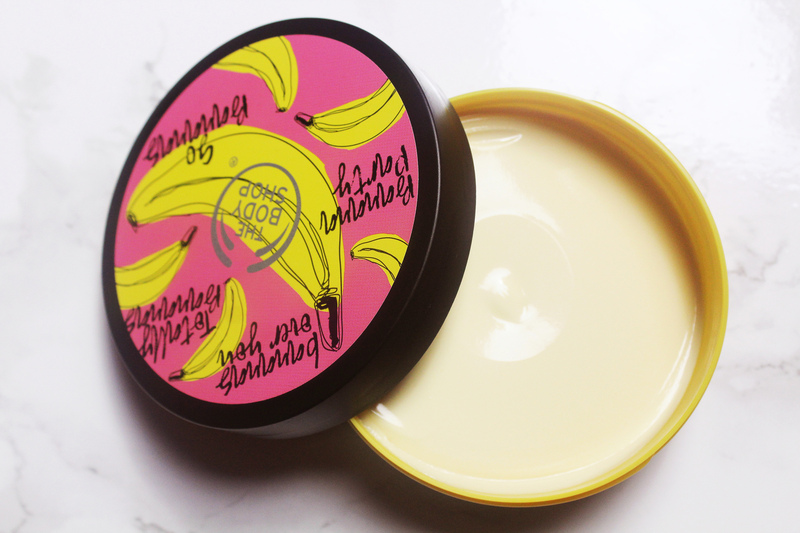 The Body Shop Banana Nourishing Body Butter applies beautifully, effortlessly moisturising and hydrating your skin but something is very off. I don’t wish to alarm you but I just can’t recommend this particular body butter. A huge fan of The Body Shop, there is no body butter I haven’t tried and loved or at least liked. However, this is the first to concern me. 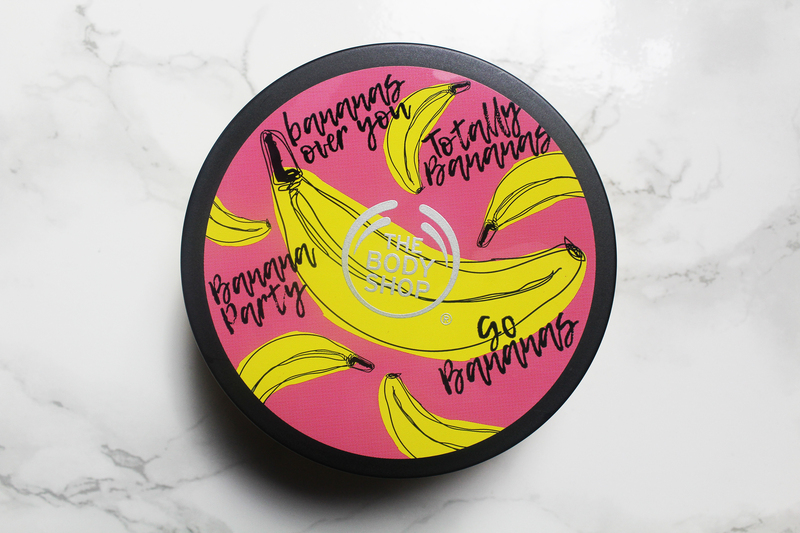 The Body Shop Banana Nourishing Body Butter has an extremely bitter aftertaste. Yes, it is an odd thing to notice but it is unavoidable; your hands will eventually come in contact with your mouth and you will be left baffled or even freaked out. At first I thought it was a dodgy tub so I tried another and there it was again. I find this alarming and a little worrying. The craziest thing is that it is really hard to remove. With every use of The Body Shop Banana Nourishing Body Butter, I am forced to scrub my hands vigorously to get rid of it. Whilst it moisturises my skin very well, its bitter aftertaste makes using it a nightmare!